Welcome to Hotel Central am See. Welcome to Weggis! 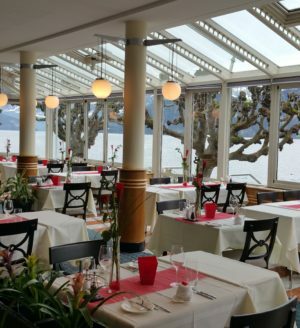 Here you can enjoy the breathtaking surroundings of Lake Lucerne, you stay in romantic rooms with spectacular lake and mountain views and expect culinary treats in our restaurants. Discover a multitude of delicious and traditional dishes prepared with the best seasonal and regional products and authentic Thai kitchen with unique flavours. Our restaurants are open for you 7 days a week. Enjoy Easter with our holiday menu. 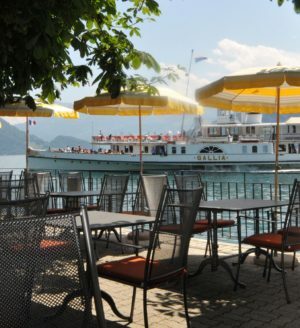 Enjoying a cool drink, or would like to try one of our tasty meals on our lakeside terrace? Feel free to come and enjoy some memorable hours. Jetzt Zimmer buchen und profitieren!